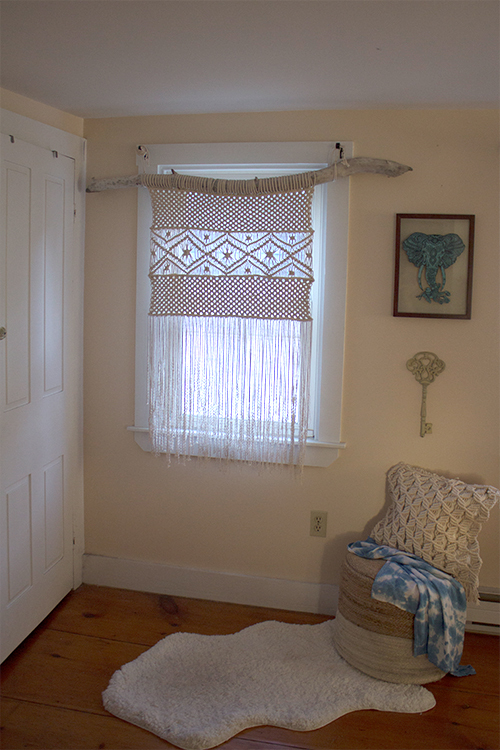 Curtains or door dividers—get creative! This specific design requested driftwood from Maine as it's holder but can be made with a wood rod or curtain holder instead. *Size can be changed—please send dimensions separately. Most pieces are made to order. Please give us up to 2/3 weeks for your items to arrive—they will most likely arrive sooner. Thanks for your patience and support!